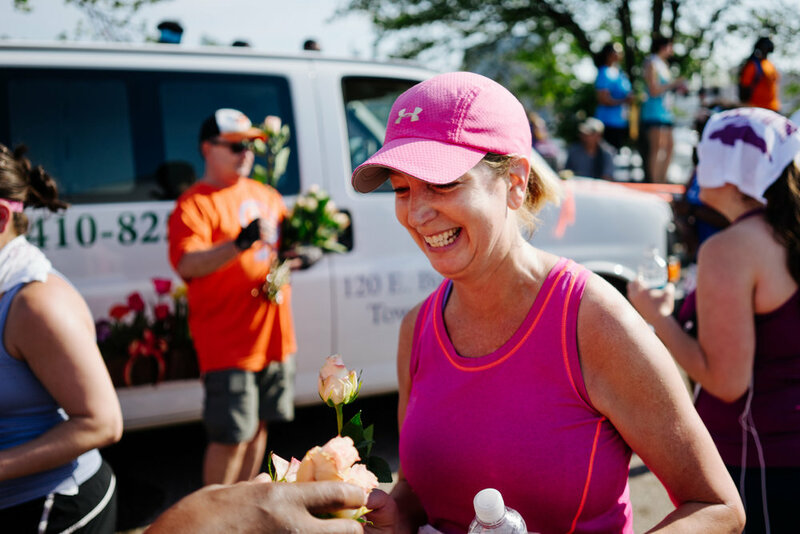 This year, you will have the opportunity to join a BWC training program for free once you have registered for the Baltimore Women's Classic 5K. This special offer is courtesy of New Balance! The BWC Women’s Training Program is presented to prepare you for the Mercy Baltimore Women’s Classic 5K. Our goal is to provide a fun and supportive workout, and to encourage women to embark on a lifelong program of fitness. Our coaches will help you determine the best group for you. You are also welcome to change groups at any time during the program based on your progress or fitness level. There is a great deal of flexibility—you can alter the workouts to meet your needs—our coaches will help you find the right workout to achieve your personal running/walking goals. Each week’s training session will be held from 6:30 – 7:30 pm and will include speakers on a variety of fitness-related topics, a warm-up session and a great workout. Participants also get a training program tee shirt at the end of the program if they attend 4 or more training sessions. Training will start the week of May 14th and will conclude with the Mercy Baltimore Women’s Classic 5K on June 24, 2018.